Are you bothered about dark patched and uneven skin tone? Is it affecting your self esteem and confidence? Then you may have already started looking for skin whitening products. Well, there are many whitening gels and creams available in the market but most of them fail to live up to their claims. The surgical treatments for skin whitening are quite expensive and are not worth to choose because of the side effects. Therefore, it is vital to find out a solution which is cost effective and safe. Using homemade remedies for Skin Whitening, one can achieve the same results. If you have any queries, write us your feedback in the comments section. We are happy to know your experience with us. You can buy tomatoes and store them in the refrigerator for few days. You have to make fresh mixture each time when you try the process. Is it good for removing pimples? is the above good for dry skin ….as the above article says that it restricts oil production…. Yes, tomato is good for dry skin as well. If the skin is producing excess oil then it restricts the production. As, you have dry skin it doesn’t restrict. I want to use tomato pulp with turmeric and milk,is their any uses by using this daily iam trying for fair skin without using any creams and lotions…please reply me. If it helps to lighten the skin and control the oil production on the face. So, try it daily without interruption to achieve the results. And don’t forget to share your experience. Yes, you can store tomato juice for 3 – 4 days. However, we recommend using freshly extracted juice for effective results. is this good for face when I mix tomato and turmeric? Yes, this process is safe and effective on the face. is it gud if i mix turmeric,sandal wood nd tomato for acne prone skin? Yes, the combination is helpful for acne prone skin as all the ingredients are beneficial in treating and preventing acne. Dark patches on the chest and ear ,how to remove this. The bleaching properties of tomato will reduce the dark discoloration so, you can use any tomato method mentioned above. Apart from that exfoliate and moisturize the affected areas regularly. Here’s the process of making homemade skin whitening cream. Using a double boiler, heat cocoa butter, coconut oil and extra virgin olive oil. Once they are melted and mixed thoroughly. Remove from the flame and pour into a steel container. Let it cool down completely and store in a cool dry place. Apply the cream on the face before going to bed daily. Yes, you can use it on the body too. De Cocoa butter u mean queen Elizabeth cocoa butter? Yes, tomatoes alone can be used for lightening the skin. The vitamins, calcium, potassium and magnesium present in them helps to fade blemishes, reduce wrinkles, build collagen and reduce aging process. Tomato juice effective for oily skin? Yes, tomato juice is helpful in treating oily skin. The astringent properties of it tightens the pores and natural acids reduce the production of oils on the skin. Apply tomato juice (freshly extracted) on the face and leave it to dry completely. Rinse off with water. Repeat the process daily for effective results. Yes, you can use. Honey locks moisture in the skin cells and keeps it supple. The bleaching properties will lighten the skin tone. Yes, you can use it daily. But for people with dry skin, it is better to avoid daily application of tomato. Yes, you can try it daily. However, if it is leaving the skin excessively dry then we recommend avoid using it daily as it can lead to acne and wrinkles. Yes, it may help. Milk soothes the itching and redness. Honey locks the moisture, keeps the skin hydrated. Tomato protects the skin from further damage. Please is applying a mixture of tomato and sugar on my face and body everyday effective for removing dark spot, and will it also give me a fairer and even toned skin?. If i decide to add carrot oil to the mixture will it be beneficial? Yes, the combination of tomato and sugar is effective in removing dark spots and achieve fair skin tone. To boost up the effectiveness, you can add 1 – 2 drops of carrot oil into the mixture. Yes, it is good. Continue following the method regularly until you achieve the results. Apart from that exfoliate twice in a week and moisturize daily. It depends on the person’s skin texture and healing capacity. So, we recommend using it regularly with some patience until you achieve the results. hello,can I use tomato and milk mixture for my whole body as I’ve got lots of dark spots and uneven skin tone? I’ve also got dark knees,elbows and also dark bum and inner thighs. I had itchiness on my bum and scratching caused some blackness that have now turned to dark scars as a result of picking them. Yes, you can apply tomato and milk mixture on the entire body. It is difficult to tell the exact time period before everyone’s skin different from one another. So, we recommend trying it regularly with some patience. Apart from that, you can exfoliate and moisturize regularly. Include vitamin C, A, biotin and omega fatty acids foods in your daily diet. I have dark patches on my skin how tomato can work on it? The vitamin A present in tomatoes lighten the dark spots and blemishes on the skin. Magnesium presents glow and radiance to the skin. So, try any method mentioned above in the article regularly for achieving the results. Apart from that exfoliate and moisture the area regularly. Tomato+flour+baking soda mixed together can apply as face mask? Does tomato juice when used alone whitens the skin? Yes, tomato juice alone is also helpful to lighten the skin. After how long do you see the change on your face when using tomatoe and lemon mixture? It is quite difficult to mention the proper duration as everyone has a different skin texture. However, you can see the improvement in 1 – 2 weeks. Thankyou the article is helpful.. am starting it today and for the results after 2weeks.. am using tomato only will it help to remove the pimples and black spots on my face?? You have to just rinse off the application with water. It is better to avoid soap for at least 4 hours after applying the mixture. It is better to apply the mask after bathing with soap. Can I mix tomato with yogurt and lemon as well? Yes, you can. All the three ingredients are beneficial for lightening the skin. Yes, you can apply just tomato alone as it helps to lighten the dark circles. The time frame to see the results depends on various factors like stress, sleep, nutrition, skin texture and others. So, it is difficult to tell exactly without analyzing these factors. I used tomato on skin without make juice??? You can just rub the sliced tomato. It also provides the same benefits. Can I mix Milk,Honey and Tomato? Yes, it can help to lighten the pimple marks. Make sure to follow the treatment regularly as specified for effective results. what can we use to lighten the dark upper lips ??? Can i use this twice or thrice a day..for better result? It is better to try the process once in a day because excessive usage can dry the skin completely. This can aggravate the oil production in the skin and lead to problems like acne, blackheads and oily skin. I am not using any other cleanser product, bcos I am afraid that it will harm my skin. Can I use it two to three times a day to avoid oily on my face? Or should I use other natural instead ? As per your description, we are not sure which remedy or combination you are talking about. Can you let us know in specific to provide right answer? If it is just tomato application then you can apply it twice a day to control the oil production. Ya sorry,,,, I combine the tomato and lemon for face mask at night and I used tomato alone in the morning or in the afternoon, since in the afternoon my face started to feel oily. So, is it okay to use it like that way? Can i use this to get rid of old stitch scar? Stitch scars are actually a little stubborn to deal with. They take a long time to fade their appearance. Apply some lemon juice daily on the scars and leave it to dry for 15 minutes. Rinse off with water and pat dry. Repeat the process daily before going to bed until you achieve the results. What if you are using a soap that is for whitening. Should I stop it? As i start applying this methods? Nope, you don’t have to stop using soaps. Just make sure you don’t wash your face with soap for at least 4 – 5 hours after rinsing off the tomato application. can i use lemon for dark sports? Yes, the bleaching properties of lemon lighten the dark spots. Repeat the application daily until you notice the results. For more information and remedies to lighten the dark spots, you can read this article – http://homeremediesforlife.com/brown-spots-on-skin/. You can try 5, 6, 9, 12 and 17th method mentioned above in the article. Nope, you shouldn’t leave the application more than the specified because it can completely dry out the skin leading to other skin ailments like large open pores, excess oil production and acne. Yes, tomato can prevent acne, blackheads and open pores as it contains astringent, exfoliating and skin hydrating properties. Nope. Don’t add cucumber and tomato mixture into the cream as we don’t know how the natural ingredients can interact with the chemicals present in the cream. Hi I m only using grind tomato will it work ?.how long will it take?now that I have used the tomato must I stop using soap on my skin . I applied it on my hands and finger . Must I stay away from the sun? It is difficult to tell the exact time frame as it depends on the person’s skin texture, healing capacity and many other factors. Yes, after tomato application you shouldn’t wash using a soap. If you want to go out in the sun, apply sun screen. Mam I am using basil nd neen paste for face from last few days nd getting slow result for removing of wrinkles on face,now shall I use tomoto juice???? Hye,,actually what type of milk that I can use with tomato. Can you give me a specific brand milk? Which is the most recommended and can I use tomato as my daily cleanser? Whichever brand you choose make sure it is not preheated or boiled. It is better to use raw milk. Yes, you can use tomato as daily cleanser. Yes, you can try the routine you have mentioned in your comment. Yes, you can. However if you have dry skin then avoid using baking soda. Can i use banana,lemon,ginger and powder milk for dry,drak and wrinkle skin,how long will it take to work? Yes, you can use the mixture of ginger, lemon, milk and banana for treating dry, dark and wrinkle skin. It is hard to tell the exact time frame as it depends on the person’s skin texture and other factors. Do I need to wash my face with soap before applying? Yes, for effective results you have to wash you face with mild soap and warm water. It helps to remove the dirt on the skin and warm water helps to open up the pores. Nope. Please avoid combining natural ingredients with chemical based body lotions. Yes, you can use cucumber and tomato application after the bathing. If applied in small amounts, coconut oil or almond oil doesn’t cause any pimples. So, make sure to use it only in small amounts that doesn’t leave your skin greasy even after a hour of application. Hi.. Mine it is oily skin and I am having so many small small tiny bumbs on cheeks which is not really pimples and also having acne scars on my face and staying in PG so I am having less facilities, hence blender and all I will not get and I don’t want to go to doctor for this, can you please help me how can I get rid from this tiny bumbs as well as acne by using tamota. Iam eagerly waiting for your reply. Please help me. If you don’t have a blender, you can use manual grater to extract the tomato juice and any combination mentioned above in the article to get rid of acne, pimples and tiny bumps. i have combination skin.i started applying tomatoe juice on face overnight.does it help to improve my complexion.any prblms in applying tomatoes 4 a long time.rply mst. If left overnight, tomatoes don’t cause any problem to the skin. So, you can try it without any worry. And don’t forget to share your experience with us. If we are taking the tamoto pack with any combination over night anything happens to face or body? What can I use for skin that has been damaged by artificial skin whitening creams and face is experiencing serious outbreaks. Please reply me via my email so I can easily read. Thanks for the post. God bless. Please can I apply cooked tomato paste on my face. I mean, does cooked tomato give better result as face treatment than uncooked ones.? I have comination skin,can i everyday wash my face with honey and tomato juice???? Can I ferment milk and fresh tomatoes for a week before use? Can I keep Tomato and lemon juice overnight?Will it help reducing scars and tan?Will it damage my skin?I have combination skin and suffers from acne and pigmentation.And also have a tanned skin. Can tomato and lemon juice nixed be apllied everyday? I hav acne scars and rashes ? Will it be cured? Is it harmful to use daily ? Rubbing tomato in the face have any results??? Can oly gramflour tat mixed with tomato juice will whiten the face ?? & also suggest me any good skin whitening soap & body lotion so let me try it . 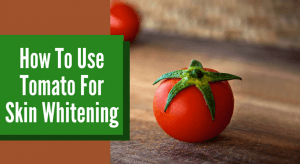 Can I continue to use my whitening cream while using tomato juice application? can all of the above mixtures be safely used on the face along with hands and legs without side effects………………………………………….. please relpy!!!!!!!!!!!!!!!!!!!!!!!!!!!!! and can it be used by all ages? Can I use tomato and lemon juice for dark armpit? PLS ADMIN,WIL I STORE THE MIXTURE IN THE FRIDGE,LL D TOMATOES JUICE B FILTERED BFOR MIXIN IT WIT DE MILK?? Depends. Why is your face reddish?